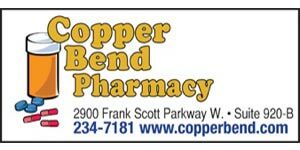 March 4 – Columbia police and EMS responded to a two-vehicle crash on South Main Street near Dairy Queen just after 9 p.m. Police said Mark Kaempf, 59, of Waterloo, drove up behind Kurt Fisher’s vehicle, which was preparing to turn left at the stoplight. Kaempf’s vehicle struck Fisher’s vehicle. Fisher’s passenger, Darla Matecki, 53, complained of back pain but she was not trans- ported. Kaempf was arrested for DUI and was cited for failure to reduce speed. Robert A. Eschmann, 37, of Columbia, was arrested for driving while suspended and cited for illegal transportation of alcohol and failure to yield on N. Rapp Street at Whiteside. March 7 – Columbia and St. Louis County police responded to a report of a wrong way driver on I-255 shortly after midnight. The car, a Chrysler 300, was traveling eastbound in the westbound lanes before eventually getting stuck in the mud near the milepost 4.8 turnaround in the median, police said. The driver, Kenneth Storbeck, 40, of Belleville, was arrested for DUI. No injuries were reported in the incident. Lisa M. McKee, 41, of Columbia, was arrested on a St. Clair County warrant. Edward E. Vaughn III, 35, of East St. Louis, is charged with vehicular hijacking and domestic battery following an incident that occurred about 6 a.m. March 5 in the McDonald’s parking lot. Court information alleges that Vaughn punched a female acquaintance and took her 2004 Chevrolet Impala. He is in custody at the Monroe County Jail with bond set at $50,000. March 7 – Mark A. Schaefer, 20, of Waterloo, was cited for illegal transportation of alcohol on Reed Road at MM Road. March 8 – Nicholas Clifford, 32, of Waterloo, was arrested on a Randolph County warrant on LRC Road. Nikki Bovee, 31, of Waterloo, was arrested on a Monroe County warrant. Jay Tomlin, 22, of Fairview Heights, was arrested on a Monroe County warrant. March 10 – James Cody Voss, 21, of Waterloo, was arrested for battery following an incident on Ronnie Drive. March 11 – Deputies assisted firefighters at the scenes of afternoon brush fire calls at 1975 Ames Road near Red Bud and the area of Klohr-Toen Lane near Hanover Road. No injuries were reported. 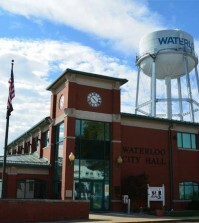 March 3 – William Carner, 42, of Waterloo, was issued a city ordinance violation for dog at large in the 800 block of Sheridan Lane. March 5 – Dylan Lee Kent, 20, of Red Bud, was charged with endangering the life or health of a child following a Feb. 24 vehicle crash on Floraville Road. Court information states that Kent operated a vehicle under the influence of alcohol or drugs, which resulted in a crash that injured a female passenger who is under the age of 18. March 10 – Chris Toal, 46, of Waterloo, was arrested for domestic battery following an incident on James Street.